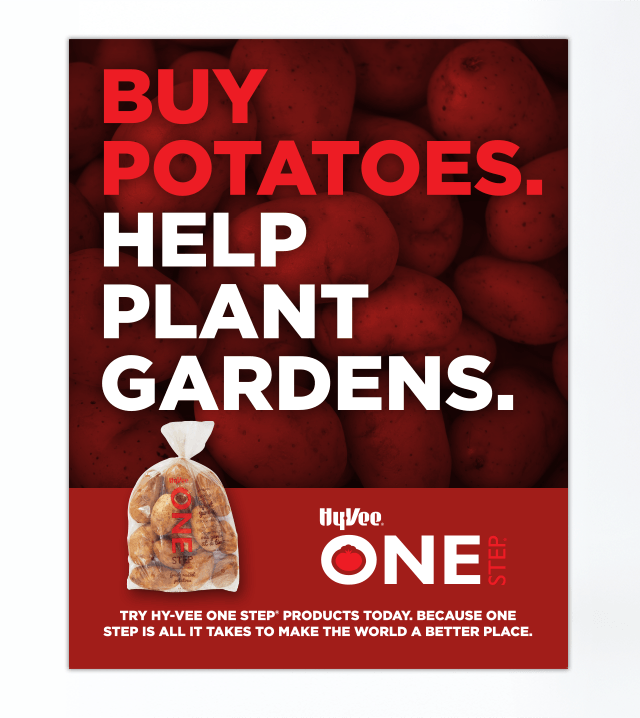 Hy-Vee's desire to help extends beyond the store aisles and into the community, including a cause-related brand known as Hy-Vee One Step™. 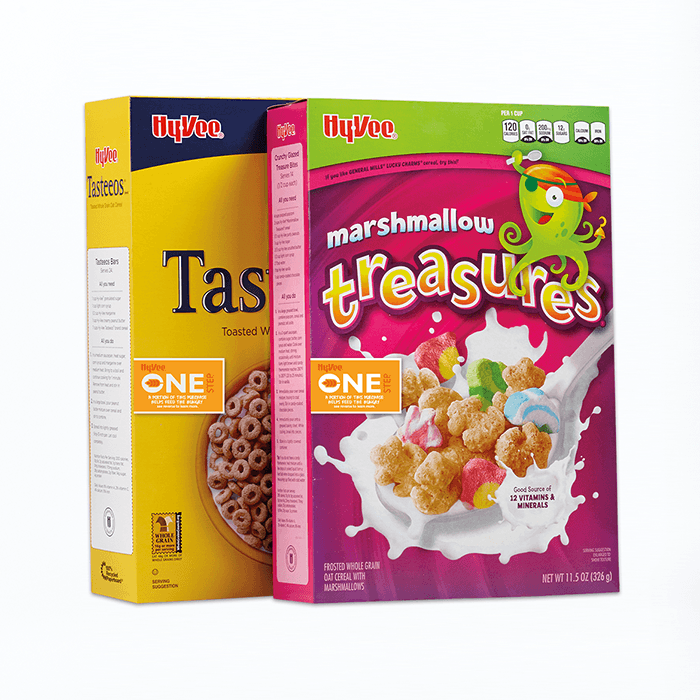 By developing the brand identity, designing the packaging and creating point-of-purchase materials, Meyocks helped Hy-Vee present their customers with a meaningful way to help others. 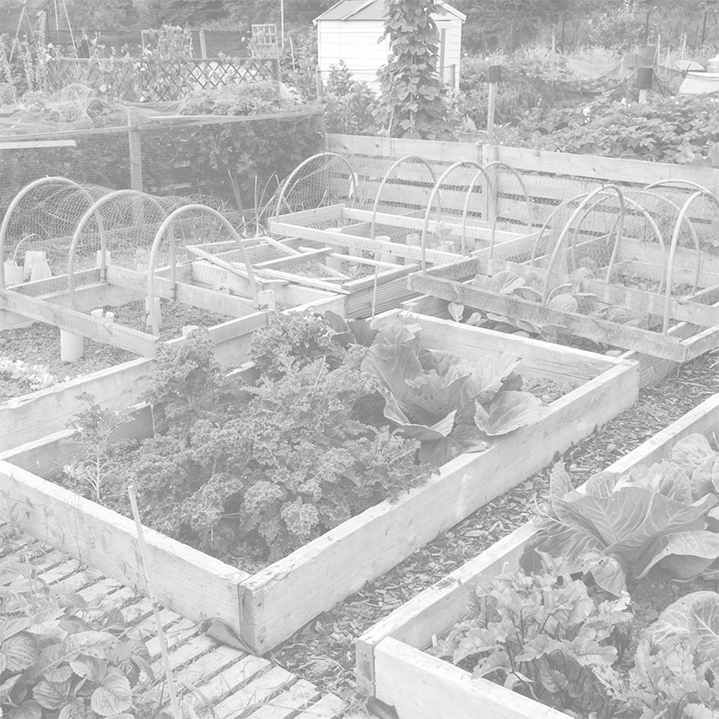 Research on cause-related marketing conducted by Meyocks demonstrated that Hy-Vee customers would show great interest in — and even be willing to pay a premium price for — Hy-Vee private brand products from which a portion of proceeds would be donated toward community improvement projects. These findings validated a product concept Hy-Vee was exploring. 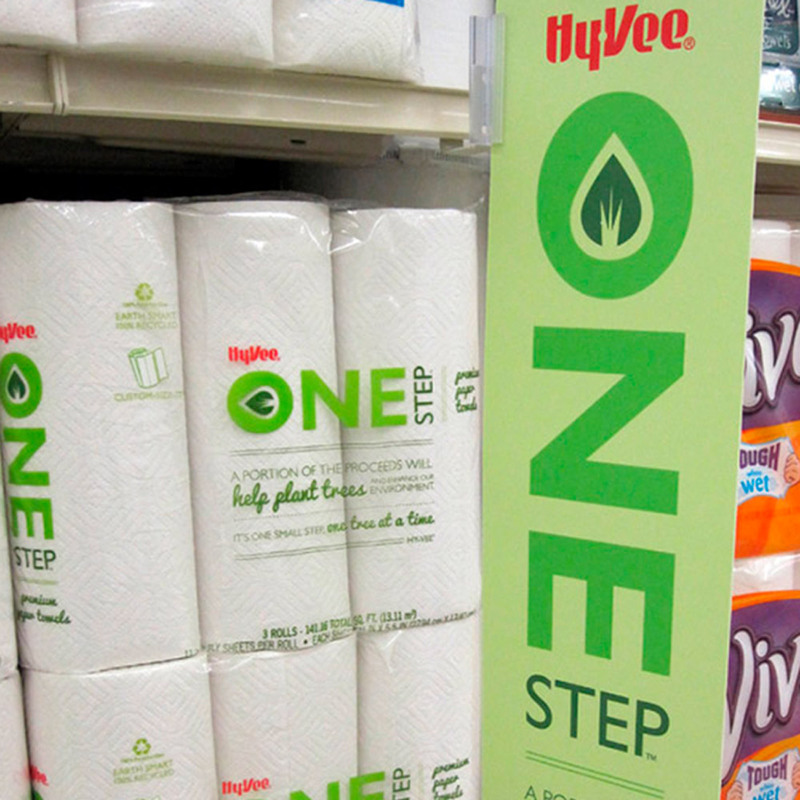 Soon after, Hy-Vee developed a program featuring four products and tasked Meyocks with naming, designing and promoting the effort. When choosing a name, we were careful not to aggrandize the effort. As the manifesto for the program stated: we know we can't solve all the world's problems, but we can do something. 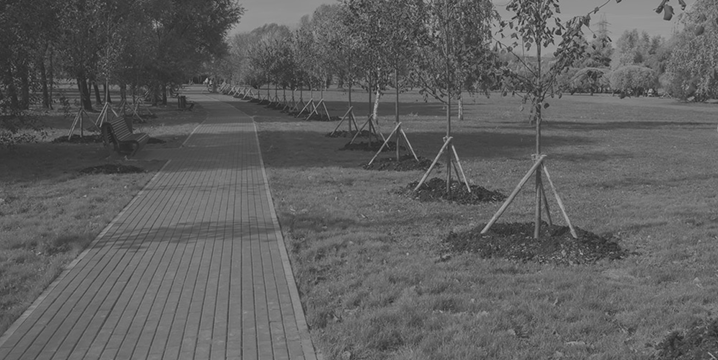 Meyocks wanted to assure customers that each small effort would add up to making a real difference in helping improve people's well-being. 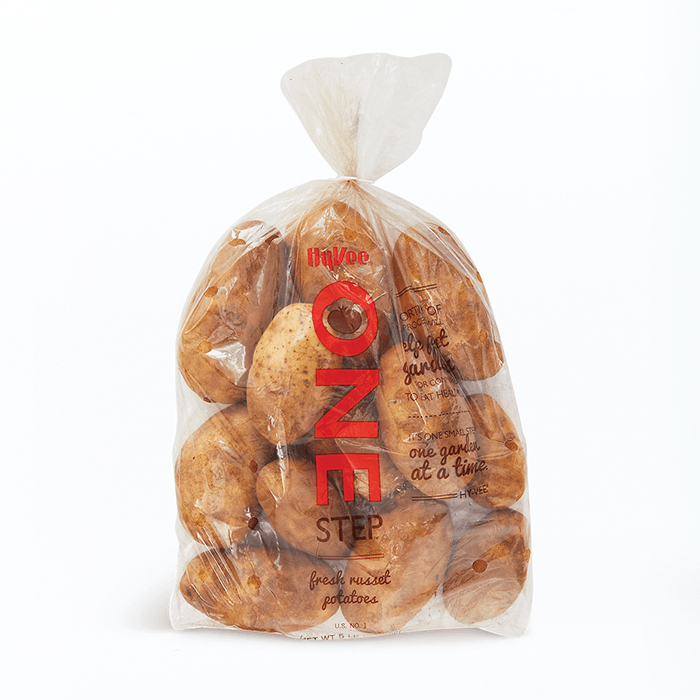 Based on this promise, we named the program "Hy-Vee One Step." 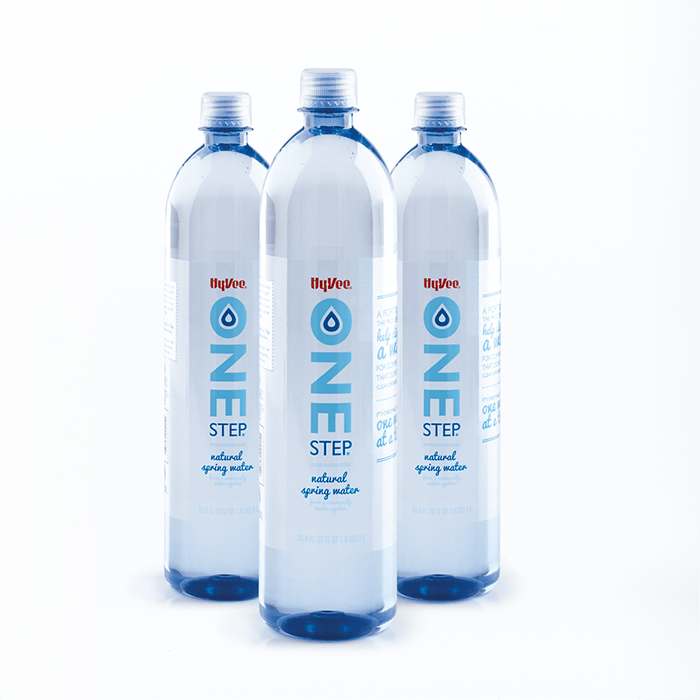 The four everyday products featured in the Hy-Vee One Step lineup were each chosen to align with a specific charitable program. Point-of-purchase materials helped display the merchandise prominently while reinforcing the charitable program associated with each product. 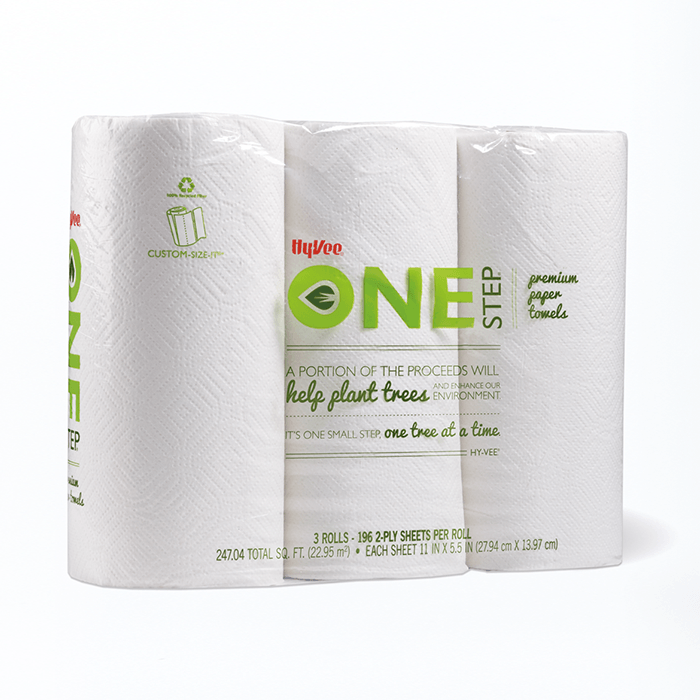 To date Hy-Vee has been able to make significant community contributions using the proceeds from Hy-Vee One Step products. 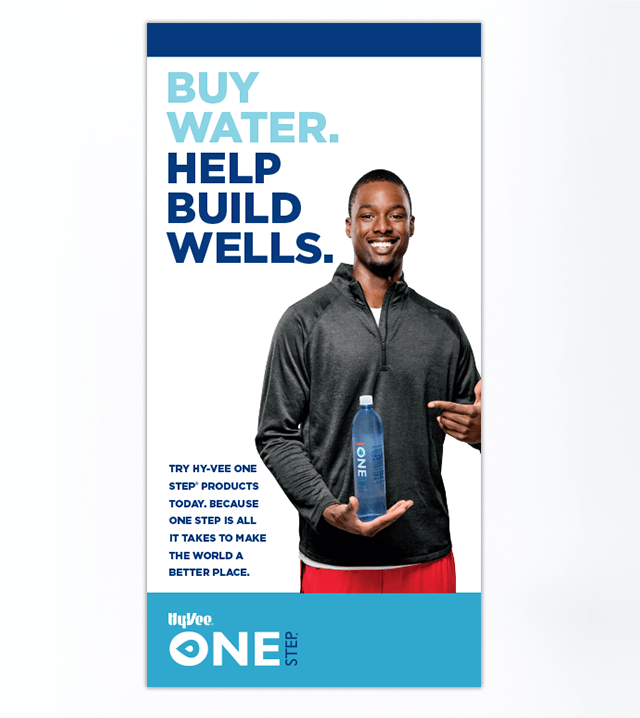 Hy-Vee continues to promote the Hy-Vee One Step Program — including work featuring celebrity spokesperson Harrison Barnes. Hy-Vee has expanded the product line to give customers more ways to give back when they buy groceries.